Today's piece is étude No. 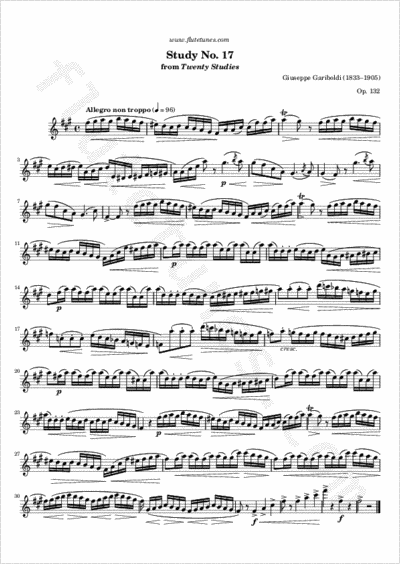 17 from Italian flutist and composer Giuseppe Gariboldi's Twenty Studies, Op. 132. This study is mainly in F-sharp minor, with some passages in the relative major key of A.